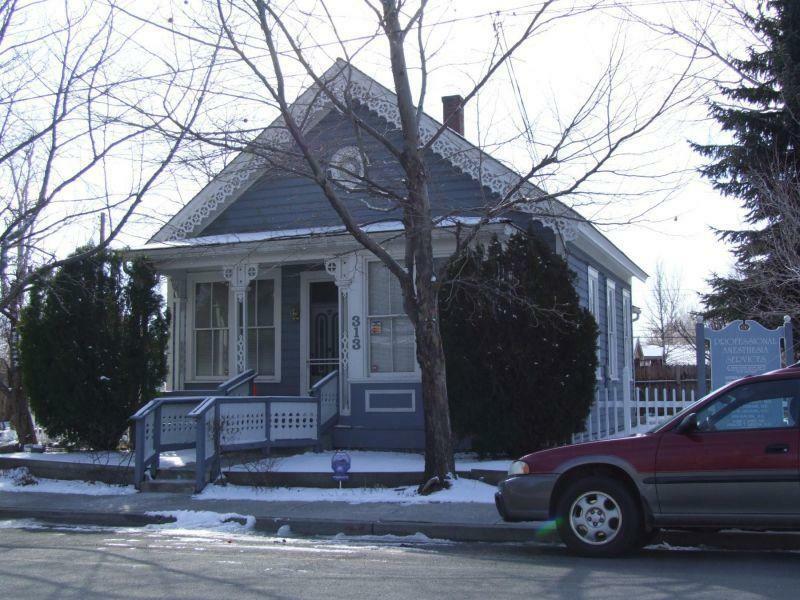 Mr and Mrs. David Smaill bought the plot of land at 313 West Ann Street in Carson City in 1876, and proceeded to build this cute little house on it. They didn’t enjoy it for long, though; by the end of 1877 they had sold it to someone else and moved on. In fact, the house changed hands several times over the next couple of decades. This picture is from 1885 when Russell Fitton, an Irish immigrant who worked for the V&T, owned the house. That’s his family in the photo. The house remained a residence for over a hundred years. It wasn’t until the late 20th century when, like so many other historic houses on the west side, it was converted into an office building. 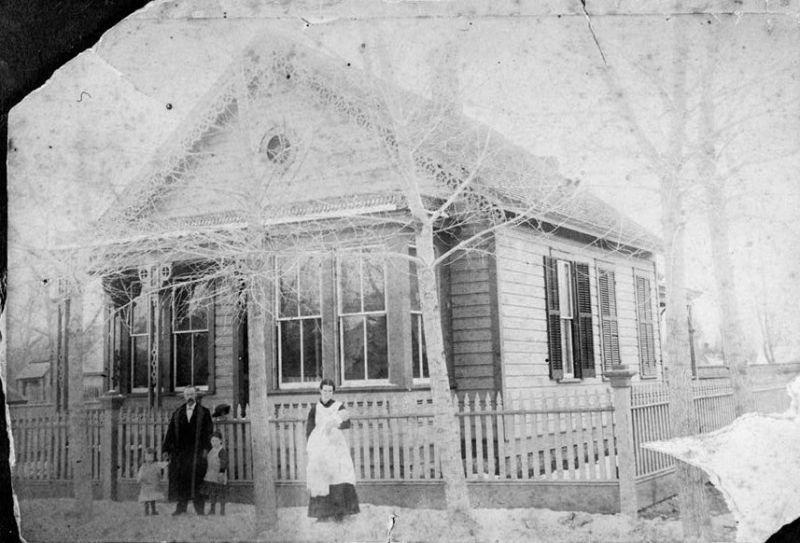 And because it was so close to the old Carson-Tahoe hospital on Fleischmann Street, it naturally became a medical office. It is the home of Professional Anesthesia Services of Carson City, and there’s a whole lot of doctors listed on the sign. I don’t know how they all fit inside that tiny little house. The sign also still calls it the David Smaill House, even though the Smaills only lived there for about a year. I guess back then it really paid to build a house; your name would be on it forever. And the outside hasn’t changed too much in the past 120 years, aside from the Visa/MC stickers in the window. The appearance has been preserved, right down to the ornamental trim along the roofline. It’s not the most well-known building in town, but it’s a nice reminder that not everyone back then lived in huge two-story mansions, as a walk along the Blue Line would have you think. Photo and historic info from the Historic American Buildings Survey.